Millennials' love of bonding over food while flirting online provided Knorr with an opportunity to be part of this interaction, and reposition its brand, driving emotional engagement and earned exposure. Knorr is the world’s ninth-biggest consumer packaged-goods brand, according to Kantar. It serves more than 320 million consumers a day across 87 markets. The company’s cooking products range from stock cubes and soups, to sauces and recipe kits and have been trusted by home cooks for 178 years. This is the story of how branded content helped reframe Knorr to attract a new global cohort of discerning young foodies. We unlocked a global insight into millennials’ passion points and created "seek-out" content that intrigued our audience enough to spread our story for us, tripling exposure for free. "Love at First Taste" generated more than 1 billion free impressions, grew brand equity measures and got a new generation talking about Knorr. There has never been a better time to be a food brand. According to The New York Times, food now is seen as interesting and expressive as music. It is the new punk rock. Millennials are at the forefront of redefining the food scene. Some 63 percent consider themselves foodies (versus 34 percent for all ages). They spend disproportionately on food; 14 times as much as the average family on a per person basis, with 87 percent saying they splurge on food even when money is tight, according to Mintel. "Flavor transforms everyday experiences into meaningful moments"
For them, food is a means of expression and a status symbol. They are the people who post about their meals on social media; they are the reason #food is one of the fastest-growing hashtags, with Mintel noting there are more than 230 million photos on Instagram alone. They watch 30 percent more food content on YouTube than all other adults, according to Google. While other generations see cooking as a chore, millennials take joy in it, with 76 percent saying they like it, and 94 percent seeing cooking as an art form. With a backdrop of consumers questioning everything that the established food brands were offering it had become increasingly difficult to drive equity and penetration among the new generation of foodies. Make an emotional connection with millennials. Connect through a highly engaging topic in their lives as opposed to through product alone. Jump-start Knorr’s brand equity among millennials. The key measures were recommendation, differentiation and purchase-intent/market share. Get people talking about Knorr. Measured as achieving one billion earned impressions globally: for us, the ultimate test of gaining Knorr an unfair share of attention. With families the most profitable target group in the cooking category, most food advertisers use product-centric TV ads reflecting "mom" as the meal-provider. Given millennials’ new food choices we believed we needed to communicate differently to set ourselves apart and allow us to break through the attention barrier, get them to engage and ultimately buy. In other words, we needed to engage millennials on their terms. To do this, we needed to find a topic that our 178-year-old food brand could credibly talk about—and that today’s 18- to 35-year-olds would be interested in. That topic turned out to be a shared love of flavor. Flavor is Knorr’s obsession and literally what it captures and creates, in the form of its products. Knorr had interviewed 12,000 millennial consumers in 12 countries to better understand the role of flavor in their lives. The most important insight was that flavor is not just taste, it is a catalyst. Flavor transforms everyday experiences into meaningful moments; it connects people and places, it captures their memories and stores their emotions. Once you see flavor the way Knorr does, its tremendous emotional power becomes clear. This was an inspiring take on an old topic. The challenge was to find a way to push it beyond the "tastes like home" executions that the category had relied on. We saw that food—and flavor—preferences have become some of the most common descriptors used online by millennials to characterize themselves and each other. We realized that you can tell a lot about someone by the foods they like. Flavor is personality—it does not just define what you like, flavor describes who you are. Then we noticed that this behavior was especially prevalent on the dating platforms millennials frequented. Phrases such as "If you don’t like pizza, or Marmite, or Nando’s, we just won’t get on" were commonplace. We found our idea on the dating sites and we are not ashamed to admit it. One industry survey of nearly 1,000 millennial singles by Plenty of Fish found that 75 percent are currently using dating apps to find a serious relationship and more than half (59 percent) log in at least once a day. With online dating so pervasive among our audience, we felt it was a representative sample. • As a shortcut to describing their personality and lifestyle. • As a conversation-starter with these strangers on dating platforms. • And even as a predictor of compatibility. That flavors could have a role to play in finding a significant other was a new, powerful and differentiating standpoint for the brand that got us past all the conventional packaged food territory relating to moms’ home-cooking. It gave us an emotional territory at the heart of millennial culture that was worth talking about. • 78 percent of people said they would be more attracted to a partner who likes the same flavors they are fond of. • One in three claimed if their partner liked different flavors, they would be worried about their long-term compatibility. Making the link between flavor, personality and love was our strategy. But to appeal to millennials, we needed to talk to them on their terms and make it entertaining for them. Built on our knowledge that millennials are famously narcissistic (labeled the "me, me, me" generation by Time magazine), we had reason to believe that a campaign element enabling them to learn more about themselves would be highly attractive to them. Modelled on the entertainment value and innate shareability of personality quizzes, we set out to create a tool that determined users’ very own flavor personality. We based this tool on established flavor categorizations in food, and built it together with IBM’s Watson cognitive computing team. Using bespoke artificial intelligence technology in the background, consumers at the front end filled in a simple quiz at myflavour.knorr.com that classified them as one of 12 flavor personality types, from "meaty warriors" to "gracious grazers." To create excitement and drive people toward the Flavor Profiler, we put it to the test in a real, unscripted social experiment. Based on their flavor profiles, we paired up single strangers over a table of their favorite flavors and served them foods based on their shared tastes. We asked them to feed each other and captured the spontaneity, awkwardness and sexiness of what happened while the cameras were rolling. "Love at First Taste" was the resulting content film we came up with. It was clear that if we wanted to generate free impressions, we needed to get coverage beyond the paid-media budget—a notoriously tough task, especially with a skeptical audience. • We used YouTube to drive video views. • We used the "Love at First Taste" content film to drive consumers to the Flavor Profiler and encouraged people to share it on Facebook. • We used Facebook to drive sharing, and Twitter to drive conversation. • People who completed the film or took the quiz received recipes that were tailored to their flavor personality. • We ran content partnerships with Playbuzz and Tastemade to create promoted recipe videos in social media. The combination of the content film, the Flavor Profiler and the recipes was amplified through Facebook and Twitter and allowed us to generate earned PR and social sharing way beyond our existing fans and followers. • A sneak preview of our engaging content, plus some exclusive content bites, were targeted to help us secure free reporting from selected media influencers and journalists. On top of earned coverage being cost-efficient, news and blog reports would allow us to create excitement authentically, enhancing our paid-for advertising. • We optimized our film to discourage skipping and encourage full views. • We drove click-throughs, shares and comments via Facebook, Twitter and Snapchat—GIFs and shorter, highly visual content bites intrigued and led into the campaign. • Our film and bite-sized content prompted click-through to the hub, containing the Flavor Profiler, which encouraged people to share their results via social media. • Viewers who completed the quiz received recipes perfectly tailored to their flavor personality. IBM Watson’s advanced relationship inference technology had identified flavors in recipes and products, and matched them to each flavor personality. These individualized product recommendations were much more relevant to users than generic "big food" product announcement ads. Together, the content video, Flavor Profiler and personalized recipes, amplified through our influencer and social-media strategy, aimed to maximize engagement and free exposure. 1. Get people talking about Knorr. Achieve 1 billion media impressions globally. 2. Make an emotional connection with millennials. Help people recognize the emotion of flavor in order to make Knorr’s rational product strengths matter to a new generation. 3. Jump-start growth in Knorr’s brand equity measures. The client identified several "must-win" measures, including relevance, differentiation and appeal. Ultimately, we needed to drive purchase intent and recommendation. "Love at First Taste" achieved all the goals we set for it. 1. We got people talking about Knorr. • We went well beyond the client’s target of 1 billion earned impressions. According to Unilever’s analysis, 72 percent of our 2.2 billion global impressions were earned. In other words, 1.6 billion free impressions were earned through voluntary engagement, reporting and sharing, against a key performance indicator of one billion. • The campaign impact was three times what you would expect from paid media alone. • It was calculated that the earned impressions equated to more than $12.5 million in media value. • Our video and interactive assets beat all industry benchmarks on completion, clickthrough and share-rates across markets (see bottom left, opposite page). • Our high click-through rate led to 1.27 million Profiler sessions worldwide, meaning voluntary exposure to the brand and our specifically tailored recipes and products, according to PR firm Media Mavens. • "Love at First Taste" was the most-chosen-to-watch YouTube ad in May 2016. • It was also the second most-viewed YouTube video ad of 2016. The US accounted for the biggest share of social conversations (37 percent) and the highest share rate, which peaked at 3.3 percent on Facebook, according to Media Mavens. The US also had the highest video-completion rate across all platforms—40 percent on YouTube, 29 percent on Facebook, 24 percent on Twitter; remarkable for a three-minute video. 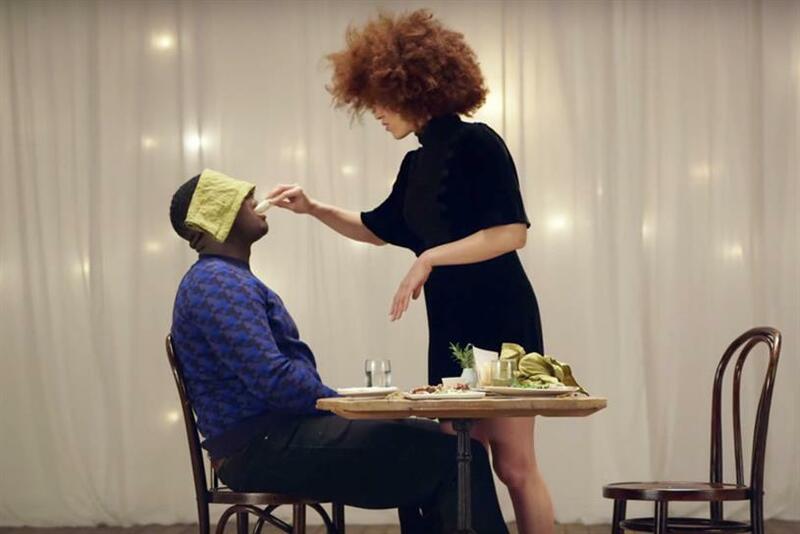 "Enticing content around an audience’s passion can help brands"
And importantly, we got people inside Unilever talking about Knorr: "Love at First Taste" also won the People’s Choice award at this year’s Unilever Crafting Brands for Life Awards. 2. We made an emotional connection with millennials. • A 7.6 percent rise in brand appeal. • A 7 percent rise in consumers who view it as "my sort of brand." • A 10 percentage point (ppt) increase in brand favorability among millennials across key markets. • A 7.6 percent increase in brand appeal—a real win on this slow-moving metric (a 1.3 ppt gain was made in the previous year). • Brand uplifts were clearly driven by our campaign messaging: up to a 20 ppt uplift against "Flavor can help you form relationships." • Purchase intent rose 15 ppt among millennials across key markets as a direct result of our campaign. This was a substantial uplift compared with the previous year’s 1.25 percent rise. Our results allow us to conclude that content based on an enticing insight and tailored to an audience’s passion points can help brands appeal to a discerning, attention-poor younger generation. • Other Knorr above-the-line communications in the market continued as usual within the campaign period with no unusual results. • Annual in-store activity continued as was, for both Knorr and competitors. • Unruly and Metrixlab methodology compared people exposed to "Love at First Taste" with a control group via tracking tags and cookies, thereby making these results trace-able to the campaign. • The targeted nature of the campaign means the uplifts recorded among the millennials group compared with the main group were unlikely to be caused by factors such as weather, pricing, distribution or economic issues. 3. We jump-started growth in Knorr’s brand equity. • A 5 percent rise in recommendation. • A 5.4 percent rise in differentiation. • A 7 percent rise in purchase intent among millennials, and a 13 percent rise globally. This was a substantial uplift compared with the previous year’s 1.25 percent rise. 4. We grew market share. In line with this, global market share rose 1.4 percent during and just after the campaign. The success of "Love at First Taste" across the board has given the entire organization belief in the power of a different way of communicating and building the Knorr brand. We will continue the start we made with "Love at First Taste" for 2017. In fact, we are already working on the follow-up work. In the words of our client, Cathryn Sleight, executive vice-president of Unilever: "‘Love at First Taste’ was a creative idea, which was standout globally and in the results it delivered. It is extremely hard to find an idea that resonates strongly across cultures but the overwhelming consumer response from all our markets shows this campaign has really struck a chord." Lastly, for what it is worth, we actually did prove our hypothesis that flavor can help you find love. One of the couples in the video (Antonio and Irma) left the shoot together and went on several more dates.